For what it is and the time in which it has been released I can say that Desolation by Khemmis is relevant. This can be attributed to the lyrics which can be applied to personal events that have taken place and occurring in any individual’s life. Once again I have discovered a record in which the lyrics can either be interpreted as fantasy or a deeper/profound meaning may be extracted if carefully examined. Khemmis conveys the messages of the lyrical themes the way one would imagine. It's quite an ornate album that shows off different musical styles and methods of songwriting and delivery. It is still doom metal; however, there are moments of black metal, progressive metal, stoner doom and traditional heavy metal that climb to the surface ever so often on Desolation. The musicianship is unshakable which is an understatement in providing a description of the band members efforts in the recording of Desolation. The guitar work yields many moods; some melancholic, some have an air of victory and others emanate horror-esque vibes. The drumming gels with the rest of the music, it plays well with the instrumentation and does not try to outdo itself or execute unnecessary acrobatics to leave a positive imprint in the memory of the listener. The singing deserves special credit here; the ability to effectuate loud, confident, soaring clean vocals, black metal barks and death metal growls is a major accomplishment because of the manner in which they were implemented. Every inception of any singing technique heard on Desolation corroborates the different perspectives Khemmis creates. In terms of black metal signature vocals; I was impressed by the short bursts of barking snarls that did manifest on the album. They were a welcome installment that did great justice to the music when combined with the doomy emanations particularly on the track "The Seer". 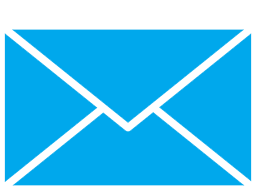 Also worth mentioning is the clean singing which is superlative; it greets the listener and reels him/her in for a convivial expedition through the ambiguous poetry. Desolation is a noteworthy installment for Khemmis. It seems to have executed its intentions to great avail. 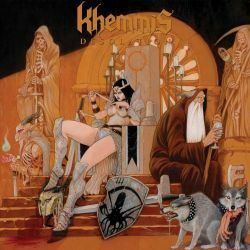 The production quality is fitting for Khemmis' model of doom metal, and having an existence on both 20 Buck Spin and Nuclear Blast Records, one would come to expect the highest standard of sound engineering. The clarity of the music featured on Desolation matched the vocals and instrumentation. Does it exceed the standards set by the previous albums being Absolution and Hunted?, I cannot honestly speak on that matter because I have never taken the time to thoroughly listen to those records, though I have heard they are substantially proficient releases. What can be said is, given the many praises Khemmis' past work has generated, Desolation should be able to assert itself amongst or even surpass the caliber of the prior offerings.